Fire is potentially the greatest threat to life and property so it’s great to know that for personal safety it’s important to have the right fire protection and this is where Dannevirke Fire Protection Services offers you a range of fire detection products and serices. Dannevirke Fire Protection serives the Tararua district, we offer quality Fire Extinguishers, Alarms, Blankets and a Fire Extinguisher refilling service as required. Dannevirke Fire Protection also has a Fire & Check Service a personal plan for your Home or Business. 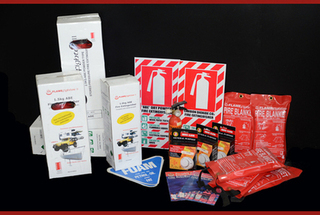 For more information on these and more Fire Saftey Products please contact us here.